The Millennials. Sat in front of their phones, tablets or on-demand TV, more worried about the latest reality TV star’s next Instagram post than they are about embarking on a career or, to start with, just finding themselves a job of any kind. A fair assessment, you might say – but is our stereotyping of a whole generation one of the reasons that all of us are struggling to find the future workforce that will ensure our businesses and the construction industry itself has new blood for the future. I was inspired to write this piece after seeing a fantastic presentation at a recent industry event overseas. Whatever is a Millennial some will be asking? In the UK, it’s basically anyone who was born between 1980 and 2000 and, in 2016, they accounted for 16.8 million people – a quarter of the whole population and the largest proportion of the workforce compared to other generations. Perhaps, we as an industry, should be the first to look beyond the Millennial label. After all, construction and all of its specialisms is probably one of the most typecast industries around. Some will tell you it’s for the unskilled or the unintelligent – for the ones who didn’t do very well at school – and, like you, I find that assessment of what we do laughable and bordering on the offensive. The sector we work in requires intelligence and skill and yet we are labelled with the opposite stereotype. How, then, can we be willing to label a whole generation in one way? We can’t and, actually, research shows that this generation is not the selfish, self-absorbed group that the stereotype suggests. Surveys have found that Millennials are looking for substance and meaning in their work and not just the biggest pay packet. They care about a company’s brand and reputation and want to feel what they are doing is contributing to something worthwhile. And, they are willing to work – with a large proportion working in excess of 40 hours a week and many undertaking two jobs in order to generate the income they need. 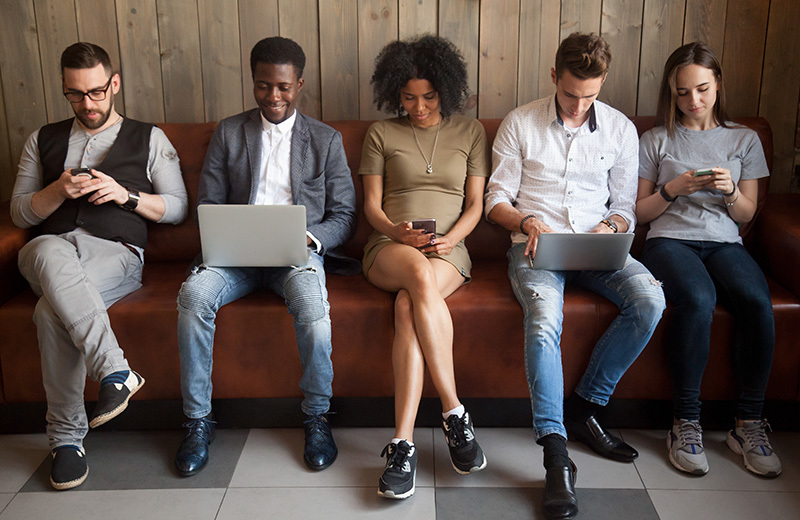 Of course, technology plays a big part in their life as 91 per cent are regular internet users – but is that something employers should fear or is it something we need to embrace? “But they just quit when the going gets tough,” I hear you say. Maybe some do but the biggest reasons given for leaving a job is there are no opportunities to advance, little growth in pay, excessive hours, lack of teamwork and a lack of flexibility. So, we have a stereotype of a generation and a stereotype of an industry but neither match what’s happening in reality. Therefore, if we are to find new blood for our businesses there is no question that we are going to have to dip into the pool of talent from the Millennial generation and look beyond the stereotyping. In order to do so, we have to sell our industry better and, maybe, look at some of those factor that are important to those surveyed – such as flexibility and the opportunity to progress. Also, we have to be willing to bestow the importance of construction on society and the economy. Without us, there are no roads, no schools, no homes, no hospitals – I could go on.